P systems are distributed and parallel computing models. In this paper, we proposed an improved Quicksort algorithm, called ECTPP-Quicksort, which is based on evolution-communication tissue-like P systems with promoters. ECTPP-Quicksort, taking advantage of the parallel nature, allows objects to be sorted to evolve according to instructions or rules simultaneously. In this way, the time complexity of Quicksort is improved greatly to \(O(log_2n)\) compared to \(O(nlog_2n)\) of the conventional Quicksort algorithm. We designed the rules, objects, membrane structures and some other characteristics of ECTPP-Quicksort P system in detail. 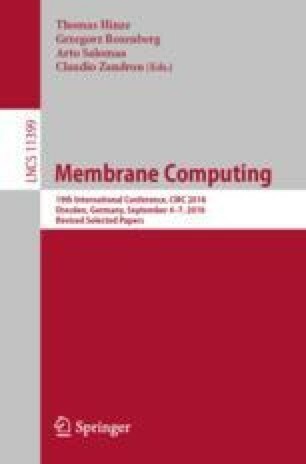 It is meaningful to the development of membrane computing.